Journalist Jamal Khashoggi speaks during a press conference in Manama, Bahrain, on Dec. 15, 2014. 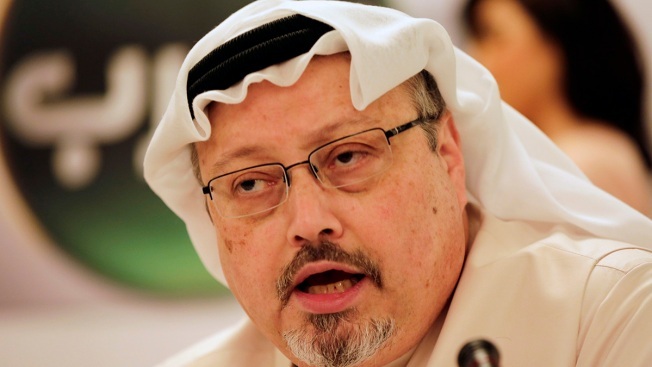 U.S. intelligence agencies investigating the killing of journalist Jamal Khashoggi believe it's inconceivable that Saudi Crown Prince Mohammed bin Salman had no connection to his death, but still have no "smoking gun" evidence that he ordered Khashoggi killed, multiple government officials tell NBC News. Although President Donald Trump and Secretary of State Mike Pompeo remain tight-lipped about what they know, Trump finally acknowledged Thursday that Khashoggi is likely dead. Behind the scenes, U.S. spy agencies are trying to determine whether the killing was pre-planned or resulted from either an interrogation that went awry or a botched operation to bring him to Saudi Arabia, officials say — and how directly Crown Prince Mohammed was involved.